This is me writing about myself; I lied to myself for 30 years until I realized that I was living a fake life, until one day I woke up. I believe that we all can make a change in our life, think and go beyond our own expectations. I wake up every day striving to be the best version of myself so I can inspire people to go beyond and live a passionate life. People deserve to be treated right and we are all capable of greatness. Being authentic to ourselves is the most important thing. With marketing, we can make a change. With authentic stories, we can touch people’s hearts. I love public speaking because I believe that our actions can inspire people. One message can change the way we think about life, success, relationships and money. I’m very passionate about change and I’m on a mission to help people make a change in their lives and live an authentic and passionate life. I want to help people become the best version of themselves and public speaking helps me do that. When we are in tune with our purpose and when we are passionate about what we do, everything changes; better customer service, better products and services, and better us. I did around 20 small workshops and spoke for the first time in 2016 in front of 300 people at a marketing conference. I spoke at The Business Show in Olympia London and got invited to speak in Dubai in front of 400 business executives. My promise to you is that I will do my best speaking gig because every single day I work on myself to become better. Your audience will leave inspired and ready to Think and Go Beyond. I’m an emotional man, speaker, blogger and the CEO of IQD, a marketing agency that creates authentic inspiring brand stories. We have worked with a large variety of clients starting from start-ups to global well-known brands such as Stella Artois, Holland & Barrett, Beautyline, Khairmax, EKA and others. I’m inspired every day to work with brands that want to make a positive change in society and grow a sustainable brand. Topics I talk about: Think Beyond Mindset, Making A Change, Content Marketing, Authentic Brand Storytelling, Passion at Work, Caring About People (clients), How to Start Doing What You Love and I share my personal stories about authenticity. My speaking style is not ego-boosting but exactly the opposite; to inspire other people. 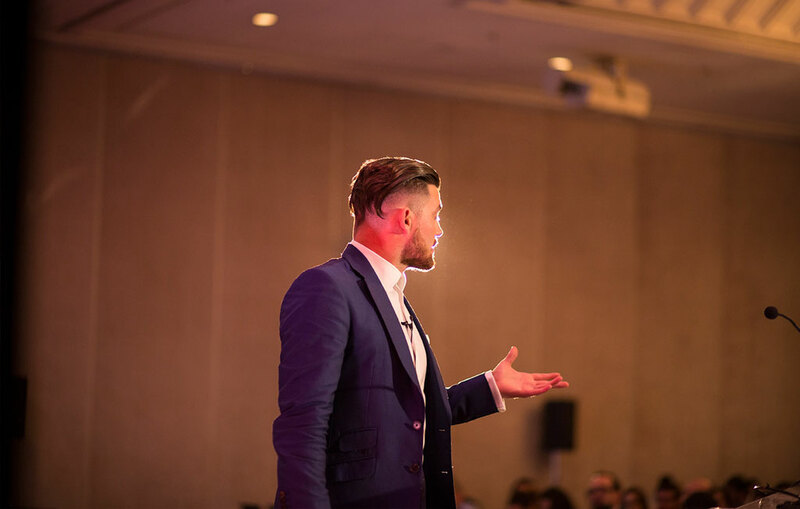 If you are looking for a passionate speaker I’m definitely the guy for your audience. Contact me today.